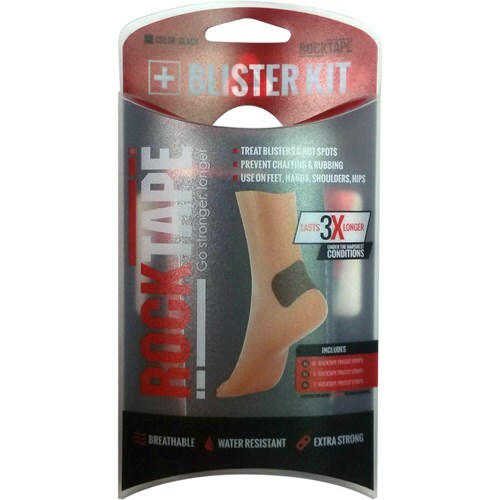 Stop blisters and hot spots before they start and easily treat blisters on the move with RockTape’s Blister Kit. Made from the same tape you know and trust, RockTape! 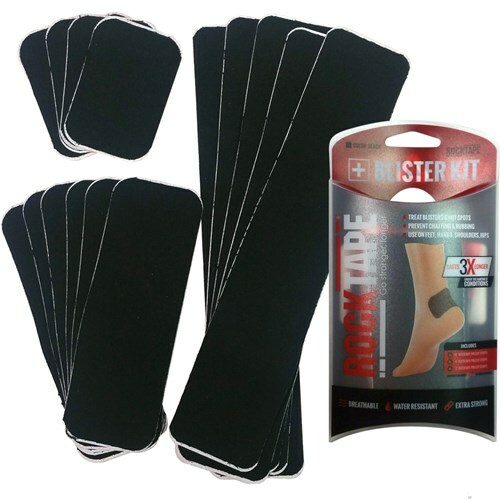 Our kinesiology tape’s strong yet gentle adhesive protects skin in the most challenging conditions. Perfect for hands, feet, shoulders and hips. Bullets: Ultra-Strong and Sticky, Hypoallergenic Adhesive, Water Resistant, 97% Cotton, 3% Nylon, 180% Stretch for Full Range of Motion, Latex and Zinc Free. Due to the time it takes to produce the Rock Tape Blister Kit Black ball it will ship in immediately. We cannot ship this ball outside the United States.